WATCH: Irish Grand Slam heroes available for Ulster, but will they face Cardiff Blues? 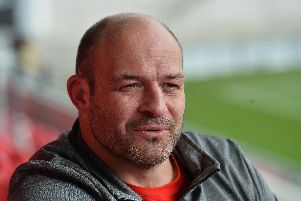 Ulster head coach Jono Gibbes confirmed on Tuesday that Ireland Grand Slam heroes Rory Best, Iain Henderson and Jacob Stockdale would be available for Ulster in the Guinness PRO14 game at Cardiff Blues on Saturday. However, Gibbes was non-committal on whether they would be involved in the crucial fixture. Best and Stockdale started in all five games of the Six Nations Championship, while Henderson missed one game due to injury and came off the bench for a second.